Remove the rear window trim panel. Refer to Rear Window Panel Trim Replacement. Remove the rear compartment lid. Refer to Rear Compartment Lid Replacement. Disconnect the rear compartment lid hinge torque rods. 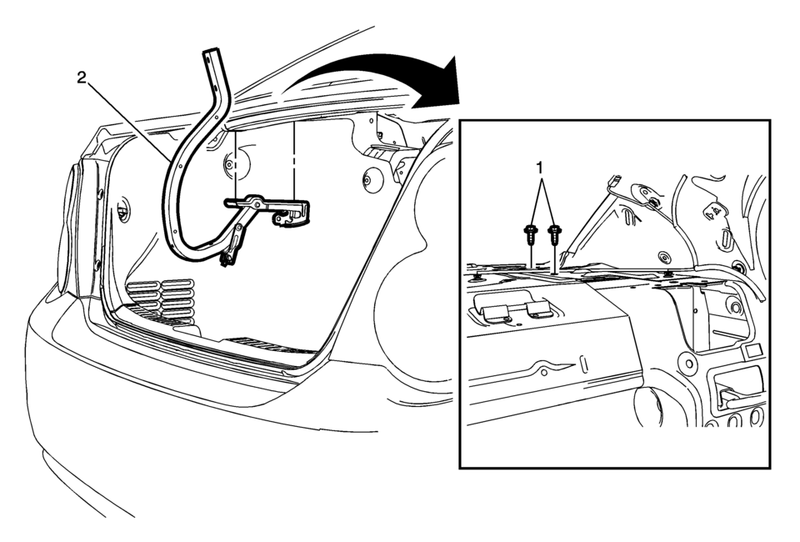 Refer to Rear Compartment Lid Hinge Torque Rod Replacement. Adjust the rear compartment lid if needed. Refer to Rear Compartment Lid Adjustment.